One of Gaddafi's sons, Mutassim, was also killed on Thursday, having been hiding with his father, Libya's information minister said. Earlier reports had suggested that he had been captured alive but injured. "Mutassim is dead. I can confirm it," Mahmoud Shammam told Reuters. 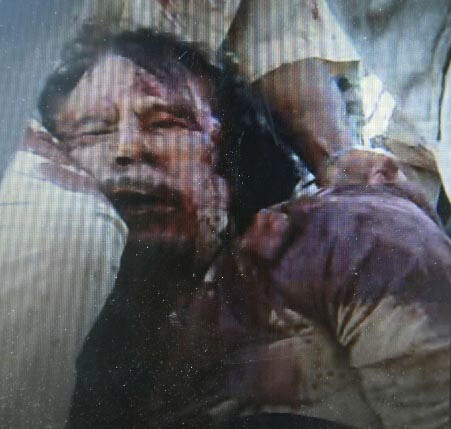 Reaction from world leaders was swift, with Ban Ki-moon, the UN secretary-general, saying Gaddafi's death marked "a historic transition for Libya".